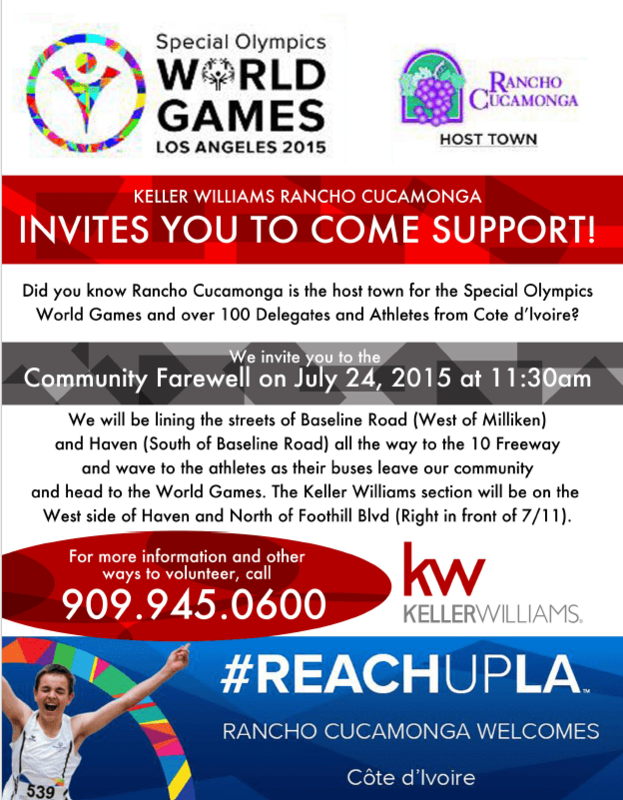 Come join Keller Williams Realty as we participate on the Community Farewell of Rancho Cucamonga as we wave and support the amazing athletes go off to the Los Angeles Special Olympics World Games! On behalf of Keller Williams Realty and The Hanover Group we would be thrilled to see you come out with us and show your support and excitement by cheering off these strong athletes who are our heroes! The city will come together to provide these athletes and coaches with great food, housing and many entertainments! This event is hosted in Los Angeles from July 25-August 2, 2015 with a total of 6,500 athletes and 2,000 coaches representing 165 countries, along with 30,000 volunteers and an anticipated 500,000 being the largest sports anywhere in the world in 2015 and in Los Angeles since the 1984 Olympic Games. Featuring 25 Olympic-style sports in venues where athletes will be participating and competing. The World Games acknowledges the talents, perseverance and achievements of those with intellectual disabilities. The Ceremony will take place in Los Angeles Memorial Coliseum. 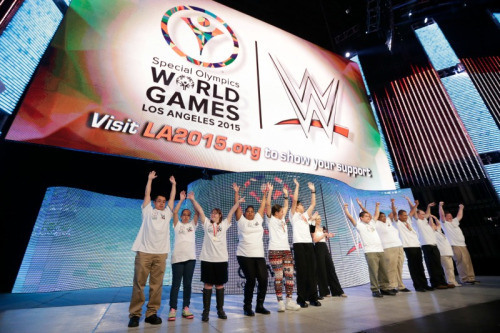 Want participate in the Special Olympics Word games and be a Volunteer? Your own personal transit pass good for nine days aboard Metro, the Official Transit Provider for the 2015 World Games, and other transit providers near you.